Straight forward! He want to support ETH (Ethereum) community. Nothing wrong in it just send him 0.2 ETH he will return you back 1.0 ETH plus your own 0.2 ETH. 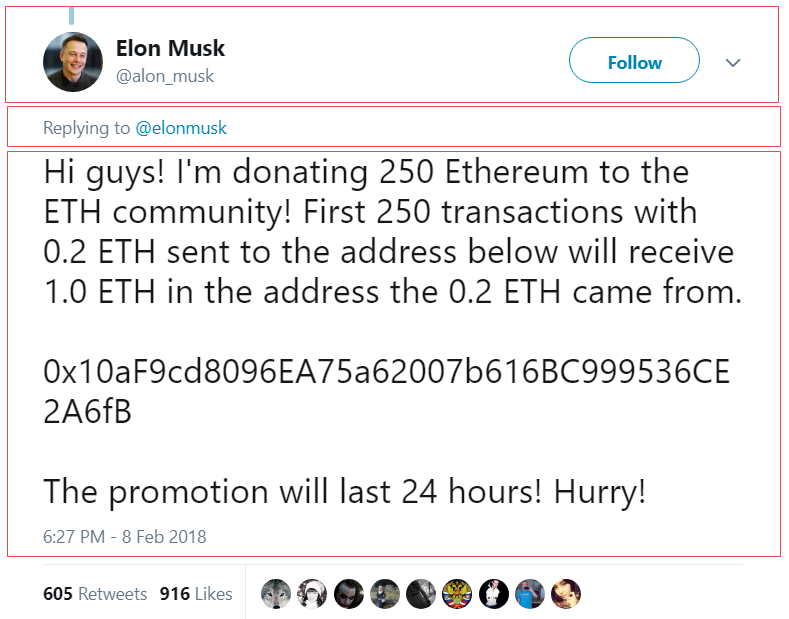 Since he have billions, giving out 250 ETH shouldn’t matter to him. Right? 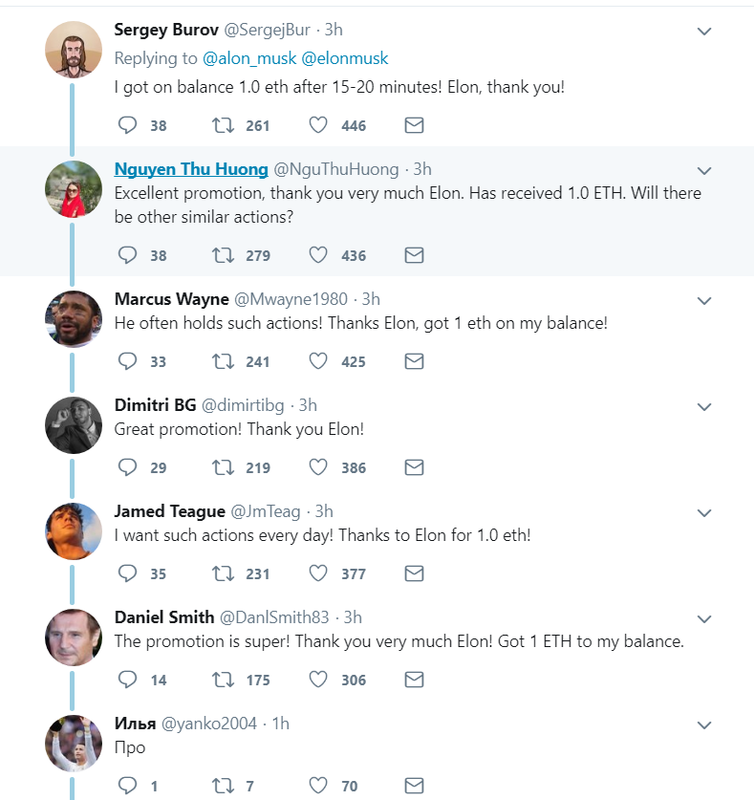 If you check the replies to this tweet you will notice many people praising him for his kind gesture and thanking him for sending back 1.0 ETH. Again all those replies have hundreds of likes and re-tweets too. If you reply to this tweet then your reply will be buried some where down the list because ofno likes and re-tweets and other replies will stay on the top. 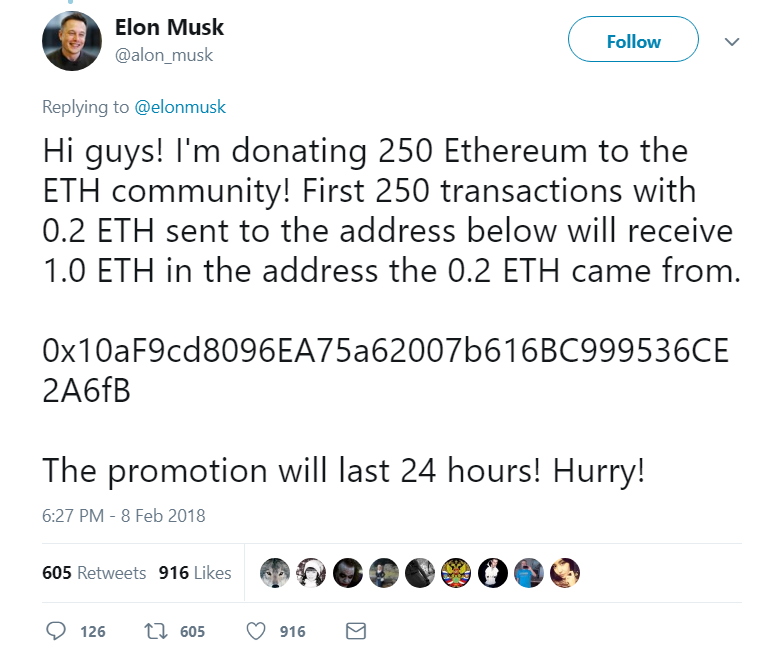 Soon after people started sending him money 0.2 ETH which is $162.78 USD at the moment to his said address. 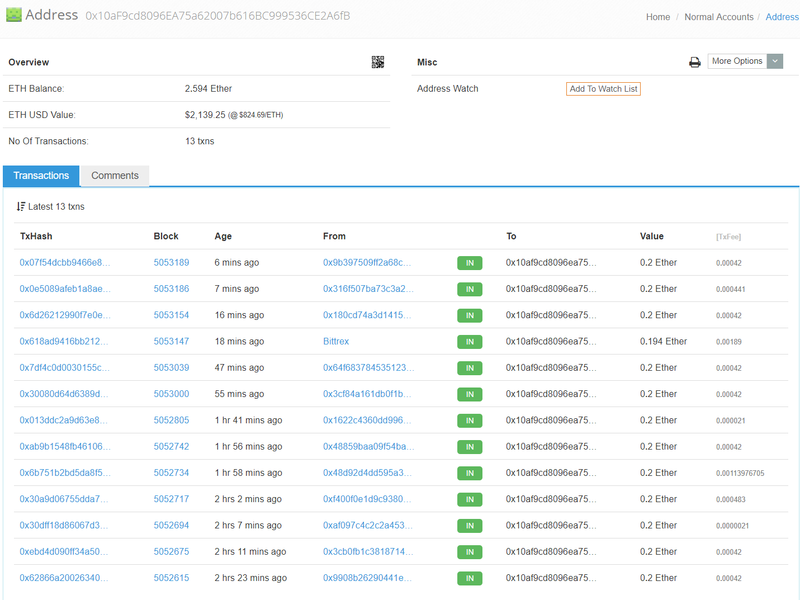 As of now total $2,139.25 has been transferred to his address in 13 different transactions and transaction are still increasing. 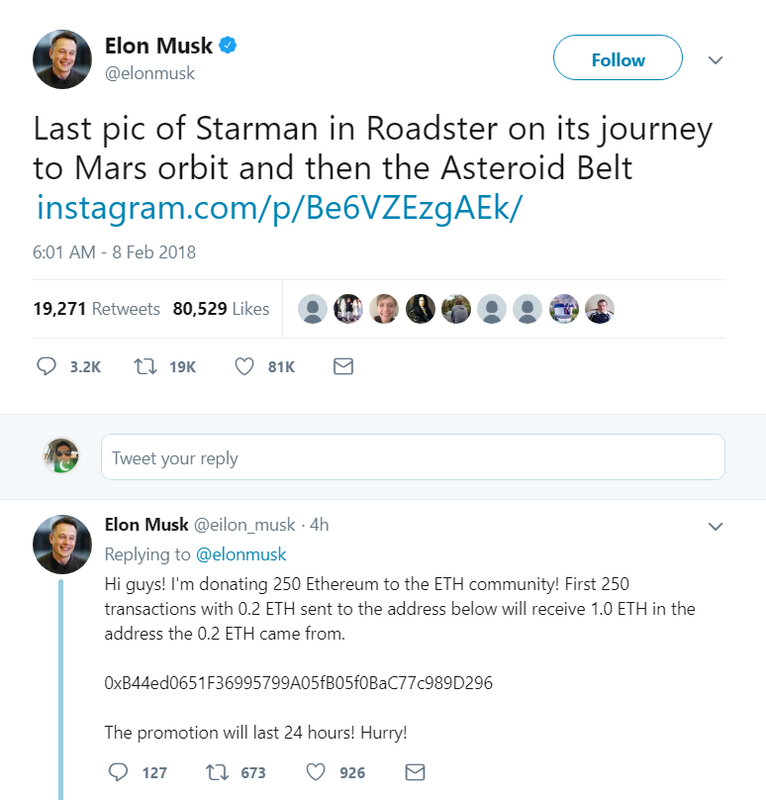 But if you pay a little attention to Elon Musk’s reply you will notice that actually this tweet is not from his real account. But it is a fake account “@alon_musk” with same display picture and name as it is on his real account “@elonmusk”. But people still got scammed and they sent their hard earned money to this scammer so easily. There are multiple reasons why people got scammed on such non-sense tweet. Tweet talks about ETH in frictions send 0.2 ETH and get back 1.0 ETH. Does not seem much unless you translate it to plain English “Send me $200 and I will give you $1000 and will also return your $200” of course no one would have fallen for this scam but due to ETH people ignored it. As i’m writing this post total of $6,448.34 has been sent from total 41 different transactions. It’s so sad people loosing their hard earned money to such scammers. There is no refund or reverse transaction in Crypto Currency. There is no way you can report this fraud to any where. You can’t even trace the owner of this account. Here it raises a question is Crypto Currency helping such scammers to get away with stolen cash so easily? All people who fell to this trap are actually Crypto Currency users it will be a lesson to all of those that think twice before doing any Crypto Transaction. Please be very very careful in all your online transactions.